In this day and age where pollution is alive and well on our planet, alternative sources of energy are kind of a big deal. One of these alternatives is wind. Wind energy is a type of energy whose process is used to generate electricity as opposed to using things like fossil fuels or solar power. It has quickly become a popular energy source in the United States, mirroring the original design of a windmill to create wind turbines. These mechanisms serve as an outlet to capture energy to be used across industries and around the world. Wind energy is powered by one thing : wind. 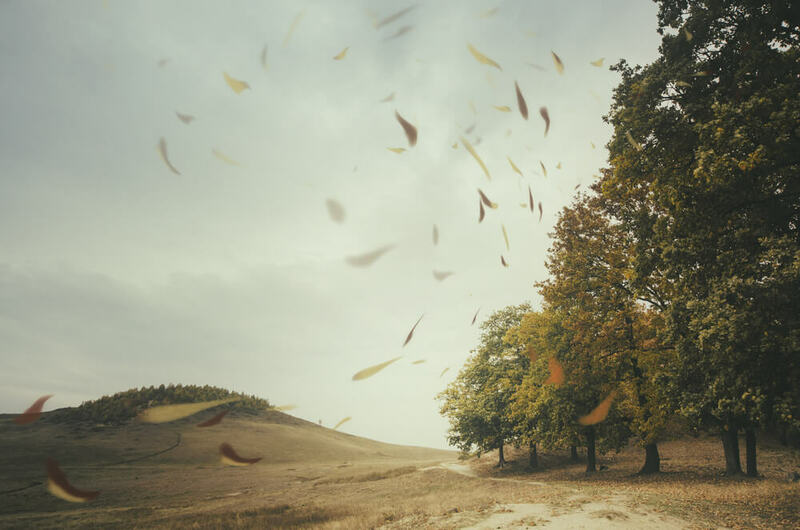 Through the uneven heating of the atmosphere coupled with the earth’s varying surfaces and its rotation, we get the sensation that is wind. It’s through this phenomenon that we can capture energy. There are three main types of wind energy that are used around the world: Utility-scale wind, Distributed or “small” wind, and Offshore wind. Utility-scale wind is wind energy that is used on a large scale on land. To capture this kind of energy , companies use wind turbines ranging in size from 100 kilowatts to several megawatts. To put those numbers into perspective, consider the lightbulbs in your house. A 100-watt lightbulb uses 0.1 kilowatts every hour. Therefore, it would take 10 hours for that lightbulb to use just one kilowatt of energy. There are 1,000 kilowatts in 1 megawatt. Basically, that’s a lot of power. This kind of energy is typically collected and delivered to a power grid where electric utilities or power systems operators distribute it to the end user. Distributed wind, also called small wind, is energy that is used on a smaller scale. This kind of power is usually generated by one single small wind turbine below 100 kilowatts. They are generally used to power personal property, such as a home, a farm, or a small business. These turbines are privately owned and are not connected to the grid for widespread use. Anyone who has ever been to the beach knows the power of the offshore winds. Offshore wind turbines serve to collect energy off of large bodies of water, most often those on the continental shelf. These types of turbines are larger than land-based turbines. They deal with larger gusts of wind and can generate more power than utility-scale wind. The U.S. shores have the potential to generate more than 2,000 gigawatts, which is almost double the nation’s current electricity use. Remember that 100-watt lightbulb in your home that we talked about? Take a look at our previous picture of its energy usage and consider this: there are one billion watts in one gigawatt. Essentially, offshore wind can generate a massive amount of energy. As we have already mentioned, wind energy is collected using wind turbines. Wind turbines closely resemble the structural design of a windmill. They are large structures that feature three large propellers. In the simplest of explanations, you can liken a wind turbine to a fan, except with the opposite goal. While a fan uses electricity to create wind, a turbine, uses the wind to create electricity. The blades on a wind turbine are designed similarly to the wings of an airplane or a helicopter blade. The wind flows across the blades, creating air pressure on one side and causing the turbine blades to move and rotate around the rotor. The rotor on the wind turbine is connected to a generator through a series of gears. As the blades move and the rotor speeds up, the smaller generator inside of the turbine translates the movement to electricity in a process using aerodynamic force. This electricity is then used to power whatever the turbine is connected to—whether it be a power grid or a single home. It’s true that wind power is growing in popularity not just in the United States, but around the world. It is one of the main sources of renewable energy—so prominent that home wind power is even rapidly progressing. While wind power presently only provides less than 2% of the United States’ electricity supply, government forecasts predict that it will provide 20% of the country’s electricity by the year 2030. But why is this energy source such a big deal? Is it worth all of the buzz? We have to keep in mind that wind energy is not a new concept. Think about all of the things that wind has historically powered. Sailboats use wind energy by way of their sails catching the gusts. Windmills have long been used to pump water and grind. Wind power became more popular in terms of electricity when fossil fuels became more expensive, and the dangers of their use to the environment became more apparent. There are many advantages to using wind power instead of fossil fuels. Since wind energy is fueled by nothing more than the wind, it’s considered a clean fuel source. This is a plus because wind energy, unlike other sources, doesn’t pollute the air. Using wind energy lessens the amount of acid rain and greenhouse gasses in the world. U.S. wind power actually avoids the carbon pollution stirred up by 28 million cars. If the United States were to expand the wind energy grid to 35% usage by 2050, we could avoid over 12.3 billion metric tons of carbon pollution. That number equals one-third of global annual carbon emissions. While fossil fuels like coal and natural gas are limited, the wind isn’t. Therefore, wind energy is a renewable energy with an unlimited supply. As long as there’s wind, there’s power—and what can stop the wind? Wind energy is also slated as one of the lowest-priced renewable energy technologies available in this present day. The lower cost makes it more accessible than other renewable energy sources. In addition to its lower cost, wind turbines are also helpful to the economy. Wind turbines work best in open areas where they can easily catch the wind without disturbances. Power plant owners will often collaborate with farmers and ranchers, paying them rent expenses to build turbines on their property. The turbines take up just a fraction of the land, so the owners can still work it while making money from the plant owners. Like most things in this world, there is always bad to go along with the good. And as other technologies and innovations have their downsides, so does wind energy. While the cost of wind power has gone down significantly, it does require a large initial investment. This investment is much higher than an investment in fossil-fueled generators, so there’s a hefty amount of competition in the market. At the same time, not all wind sites and wind farms are excessively successful. Since wind varies and fluctuates, a wind farm may receive more wind energy some days and virtually none other days. Wind energy cannot be stored, so this can make the cost competitiveness questionable to investors. We also need to consider that most good, effective wind sites are located in remote locations with wide open spaces and plenty of room for airflow and several turbines. These kinds of locations are generally far from large cities and places where electricity is needed the most. Other minor disadvantages include things like noise pollution, visual impacts, and harm to birds, although these issues have mostly been resolved. Just as wind energy is good for the environment and is generally, cost-efficient, it’s also good for the citizens of the United States. The wind power industry has created well-paying jobs for more than 100,000 Americans. In fact, it’s one of the country’s fastest-growing jobs and is estimated to increase by 108 percent over the next ten years. Not only does the industry employ so many Americans, but it employs America’s veterans at a rate that is 50% over the national average. Wind energy has even been considered the newest drought-resistant cash crop for farmers. Wind farms require no water usage, and they pay millions of dollars each year in lease payments and local taxes—helping both local farmers and federal funds. It is estimated that wind has accumulated more than $140 billion of private investment within the last ten years. The United States wind energy industry is all nationally based, meaning there are no international shipping fees or outsourcing. Everything is made within the U.S. through 500 factories across 43 states. Wind energy is a growing technology that is only being developed further as the years go on. Many people are dedicated to improving this energy source and promoting it as a better way to fuel the United States and the world. So, what does the future of wind energy look like today? The United States Department of Energy’s Wind Energy Technologies Office is made up of several experts, scientists, researchers, etc. who concluded in 2008 that the U.S. could be using 20% wind energy by 2030. To take things further, the department experts have found that by 2050, it is more than possible for wind to be a viable source of electricity in all 50 states. This increase in area gives the country the potential to create more than 600,000 new jobs, including manufacturing, installation, maintenance, and more. Not only is the department discussing more energy and more jobs, but they see the potential for cost savings for consumers. By 2050, experts predict that wind energy will save citizens about $280 billion. 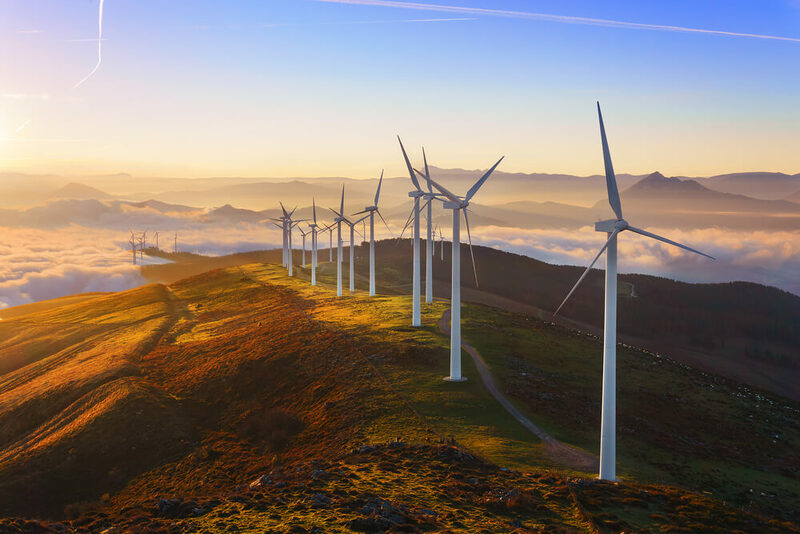 As we have discussed, wind energy is known for being environmentally friendly, and the continued use and expansion can serve to reduce air pollution of various sorts, including sulfur dioxide, nitric oxide, and nitrogen dioxide. The Wind Energy Technologies Office also researched the effects on water resources. In this same timeframe, wind energy can save as much as 260 billion gallons of water. That volume of water is the same as about 400,000 Olympic-size swimming pools. We have already determined that offshore wind energy has massive amounts of potential just waiting to be used. In 2014, this globally established industry was projected to more than double by the year 2020. The Department of Energy has found that by 2050, the United States could install 86,000 megawatts of offshore projects. Not only would these installments collect huge amounts of energy, but they would provide hundreds and thousands of jobs throughout coastal communities. Experts also predict a positive future for the cost of offshore energy. 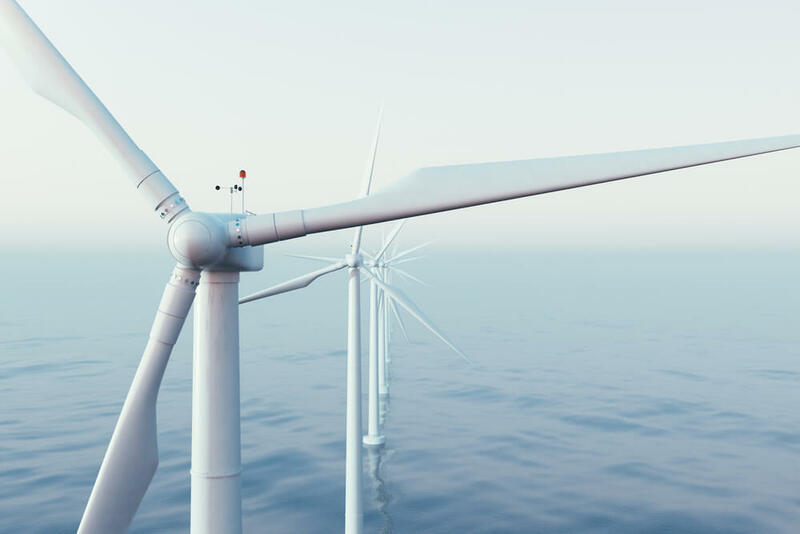 They say that offshore wind prices can be locked in for 20 years or more, which is great for competition against fossil fuels whose costs fluctuate frequently. Historically, we have seen the cost of land-based wind energy drop before. Between 2009 and 2014, the cost dropped by 66%. This bodes well for future costs, as a drop is likely. The idea of wind energy is not as far-fetched as some people may find it to sound. This renewable energy is clean and becoming more and more affordable and feasible. With economic growth and pollution decline on the horizon, we shouldn’t be surprised if we start to see more and more turbines popping up across the country. 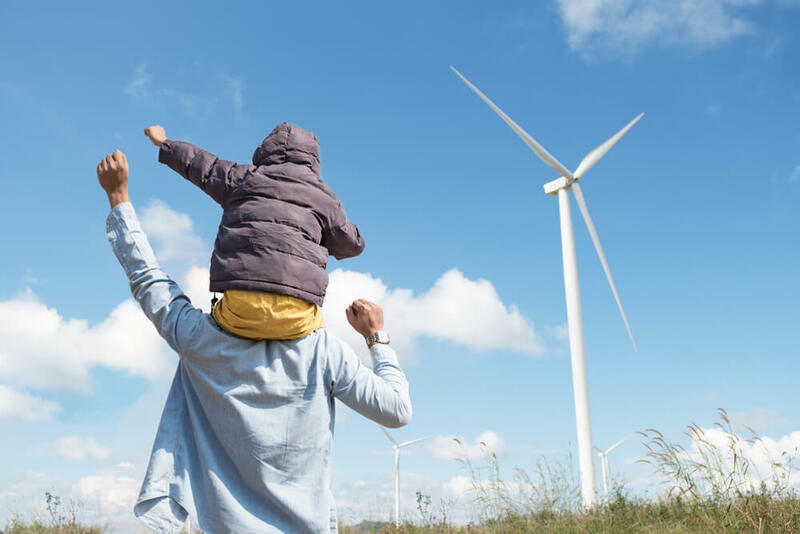 With many benefits like farmer support, pollution decrease, water conservation, and habitat safety, wind energy is making big moves towards its future, and in turn, the future of the United States.